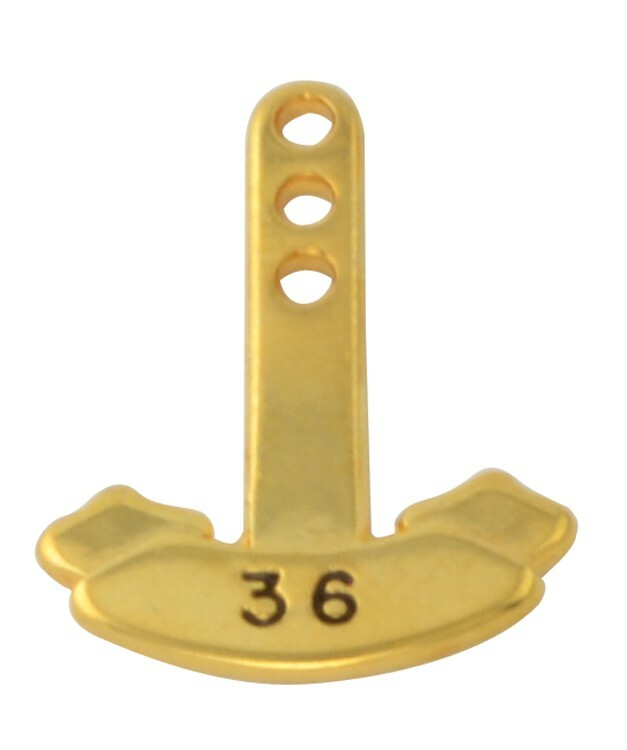 Die struck in brass with choice of antique brass, antique nickel or antique copper finish. Comes with military clutch back. Individually polybagged. Made in USA. Lead Free. 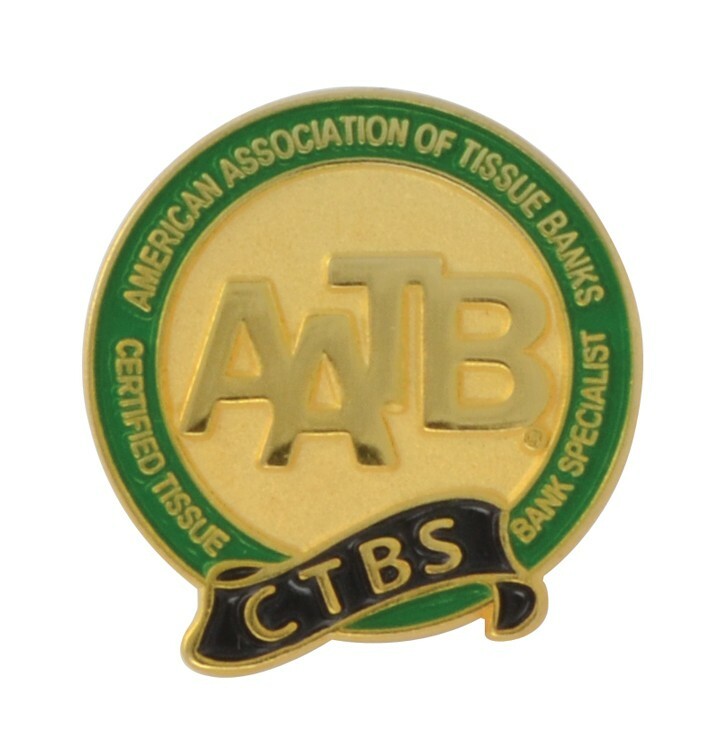 Cloisonne is a centuries-old process and is often regarded as the highest perceived value of any non-precious metal pin. Your design is die struck in metal, the recessed areas are filled with genuine cloisonne (which is made from crushed glass) colors. Only AOKI colors are used - (sorry exact PMS color matching is not possible in genuine cloisonne - see our Imitation cloisonne pins for PMS color matching). The color filled areas are then ground down on a wet stone wheel until the colors are even with the metal. Finally the piece is finished in your choice of gold or silver. Includes up to 4 colors. Gold or silver finish, Military clutch back, individually polybagged. No setup at 300pcs and over. 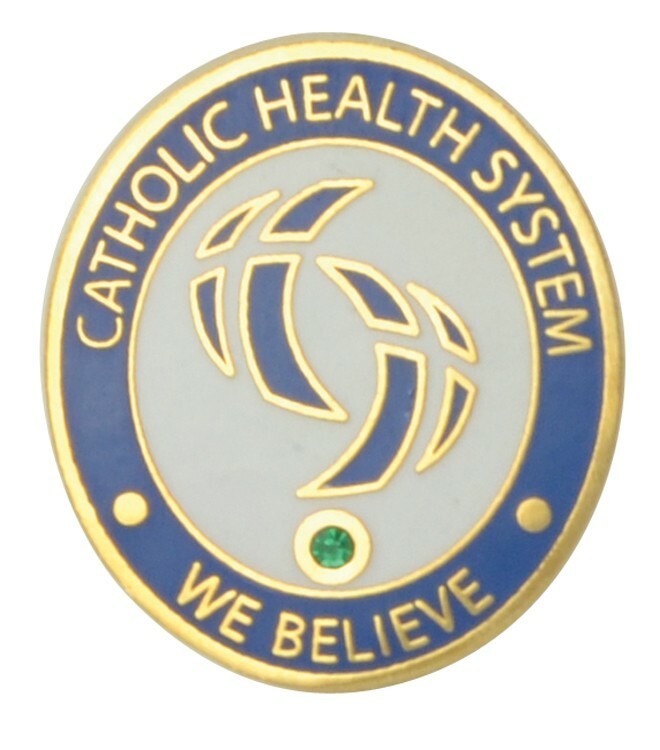 Soft enamel colors are placed in recessed sections leaving metal visible. Adjacent colors must be separated by metal lines. 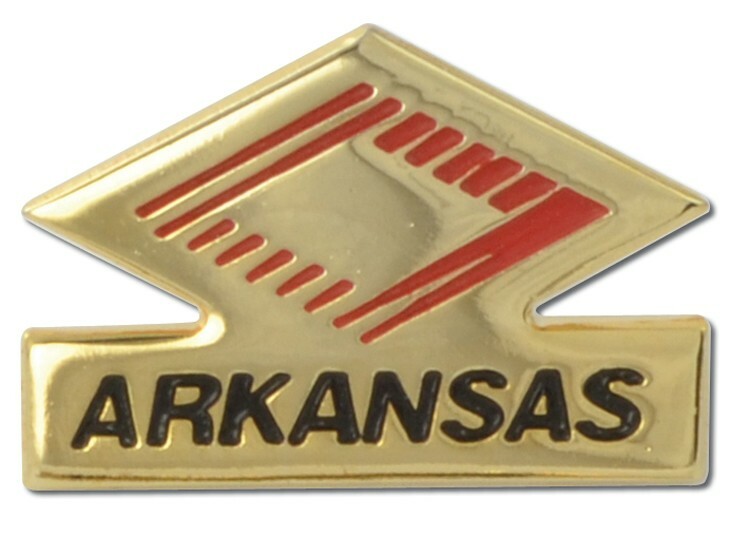 Die struck in brass with antique brass, gold-tone or silver-tone finish and One PMS Matched soft enamel color fill.Comes with military clutch back. Individually polybagged. Made in USA. Lead Free. 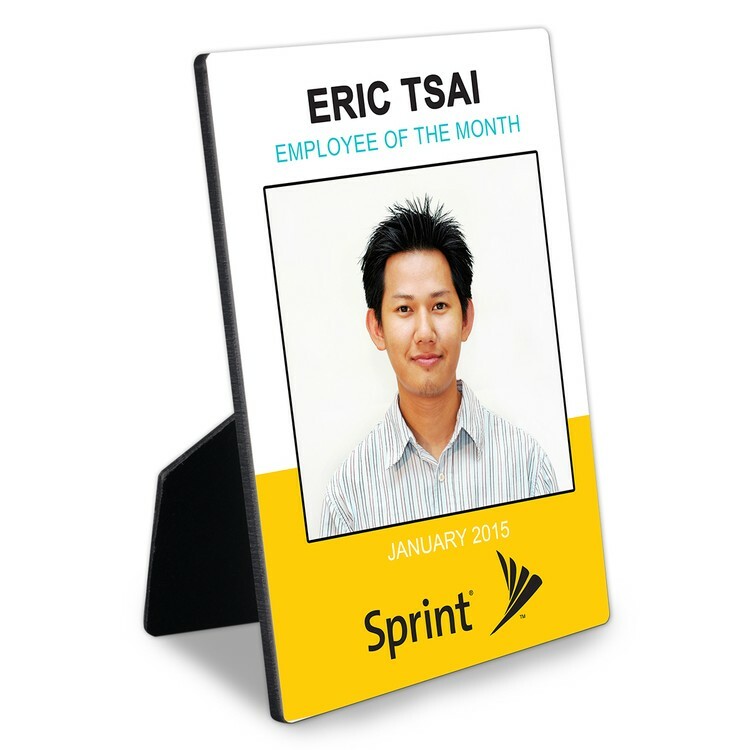 Year tabs are designed to hang behind a lapel pin to indicate years of service or levels of recognition. We keep all years in stock from 1 through 50. 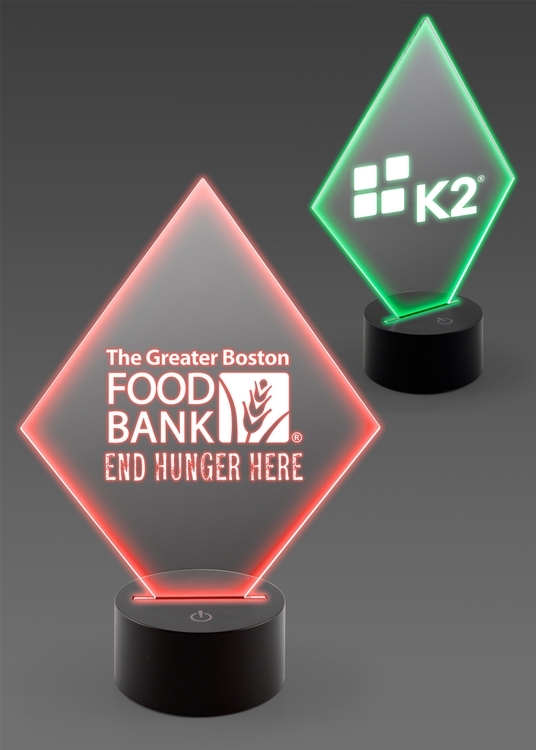 Year tabss are avaialble in 3 styles - Curved, Rectangular or Ribbon. Cloisonne is a centuries-old process and is often regarded as the highest perceived value of any non-precious metal pin. Your design is die struck in metal, the recessed areas are filled with PMS matched imitation cloisonne material (aka epola or hard enamel). The color filled areas are then polished on a wet stone wheel until the colors are even with the metal. Finally the piece is finished in your choice of gold or silver. Includes up to 4 PMS matched colors. 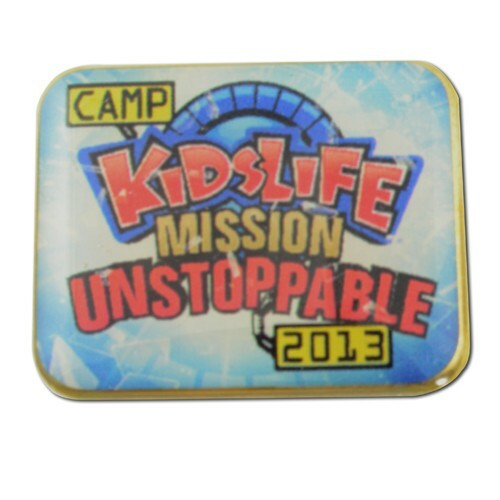 Gold or silver finish, Military clutch back, individually polybagged. No setup at 300pcs and over. The JENSEN SMPS-725 is a compact Bluetooth stereo speaker featuring powerful, realistic sound and great style. The SMPS-725 is wrapped in a camel-colored leatherette material and includes a matching carry strap so you can take it with you. 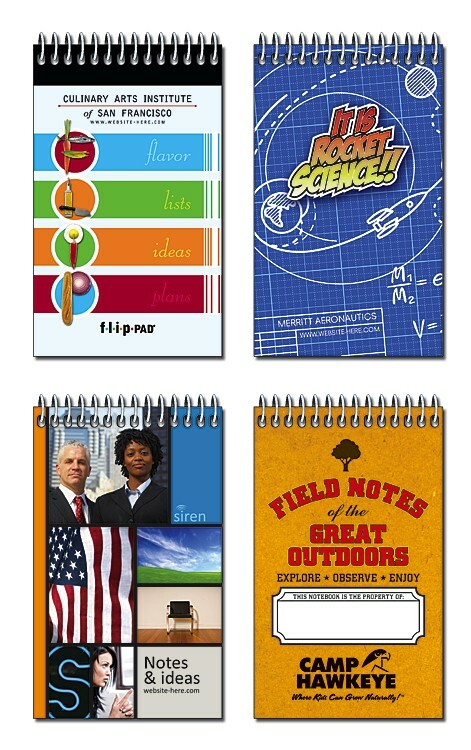 This unique design is perfect for on-the-go, or use around your home, or in the office. Stream your music from up to 33 feet away, and pair with devices easily utilizing NFC (Near Field Communication). 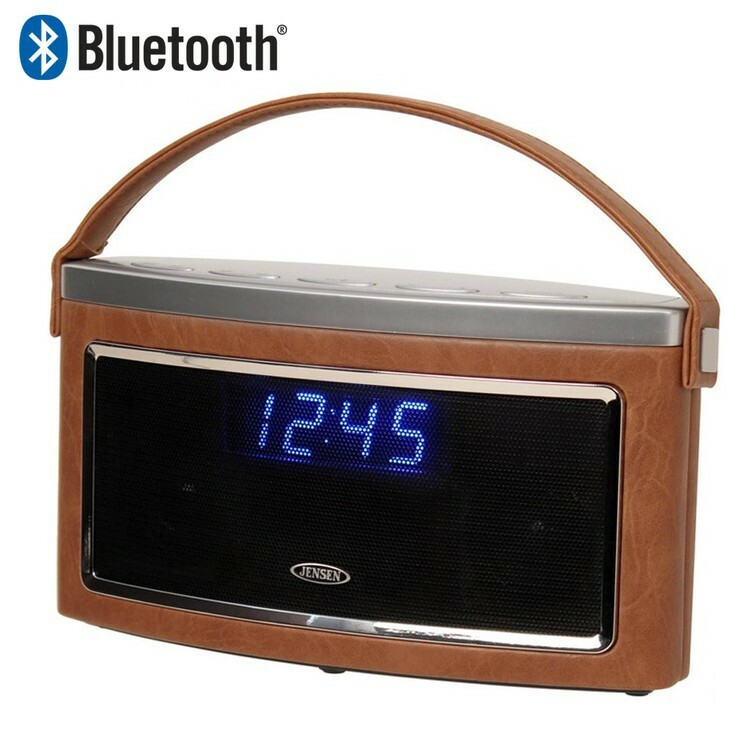 The unit also features a FM stereo radio, a built-in microphone to use as a wireless speakerphone, and a 1 Amp USB charging port to keep your smartphone charged. This speaker works with iPhone, iPad, Android, and any other Bluetooth device. It also includes a 3.5mm audio line-in cable to connect non-Bluetooth devices. Operates on AC power (adaptor included) or on optional battery power (batteries not included). JENSEN's trendy-looking SMPS-725 goes where you go so you can listen to your music anywhere. The bar has been raised and a new standard has been set in the world of gas grilling. The Genesis II line of grills are all equipped with the GS4 high performance grilling system, compatible with iGrill 3 smart technology, and backed by an outstanding 10 year warranty, 100% Weber guarantee. For all Weber 22.5" Kettle Grills. Made of 100 percent polyester, the new generation covers are as rugged as vinyl, but more breathable and pliable even in extreme cold conditions. The softness of the fabric also allows for easiest cover placement and removal. 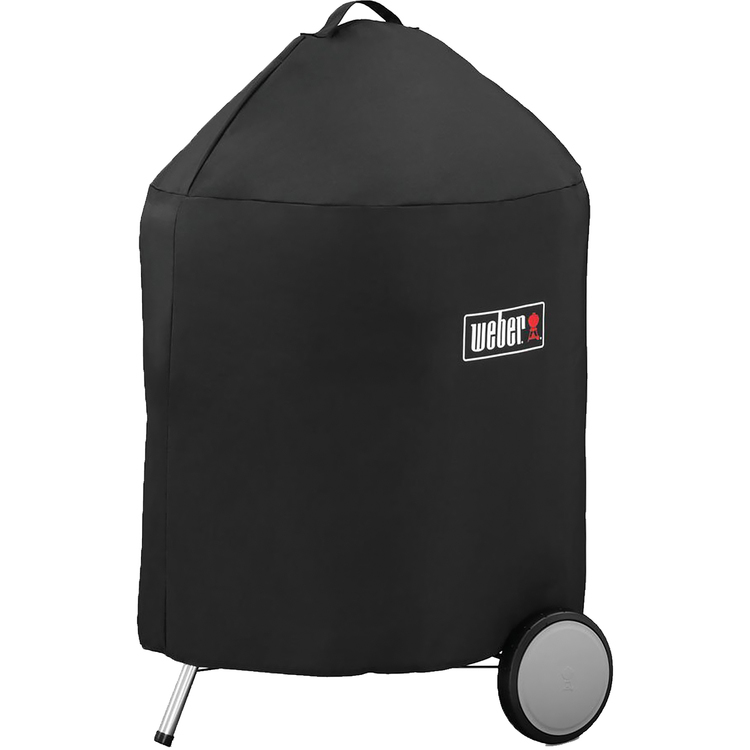 Answering the questions of how and where to store the cover, Weber has sewn into the seam a drawstring storage bag that fastens with a hang loop and Velcro. The bag, loop and Velcro are all neatly out of sight when the grill is covered. Once you see the sheer enormousness of the Ranch kettle charcoal grill, you'll understand why ''big'' is such an oversized understatement. We're talking 1,104 sq. in.yes, you read it rightof cooking space covered by a plated-steel, hinged cooking grate. Enough said. 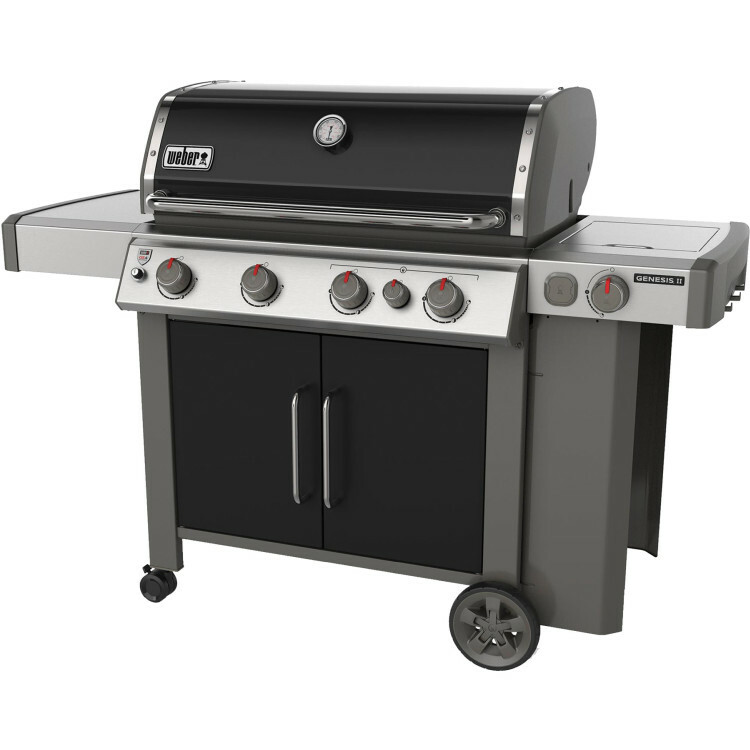 Open your door to the world of grilling with the sleek Spirit II E-210 gas grill. 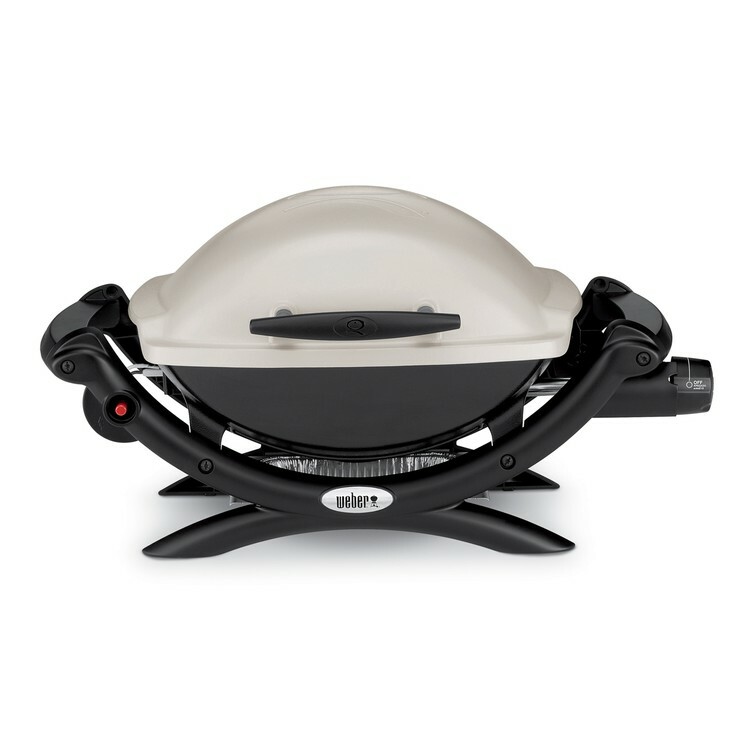 This two burner grill is built to fit small spaces, and packed with features such as the powerful GS4 grilling system, iGrill capability, and convenient side tables for placing serving trays. The durable porcelain-enameled cooking grates allow for even dispersion of heat. 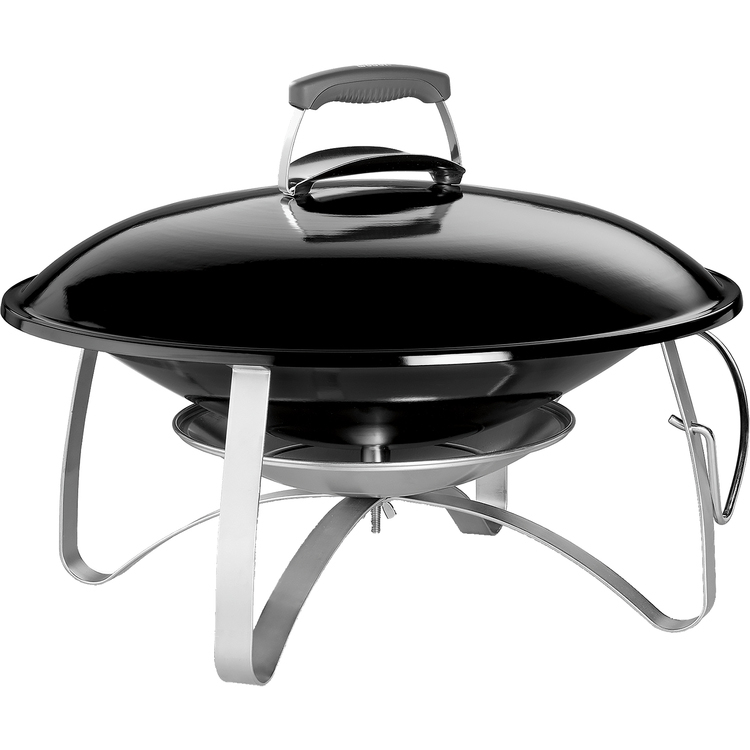 Monitor grill's internal temperature with an accurate, easy-to-read thermometer mounted in the center of the hood. 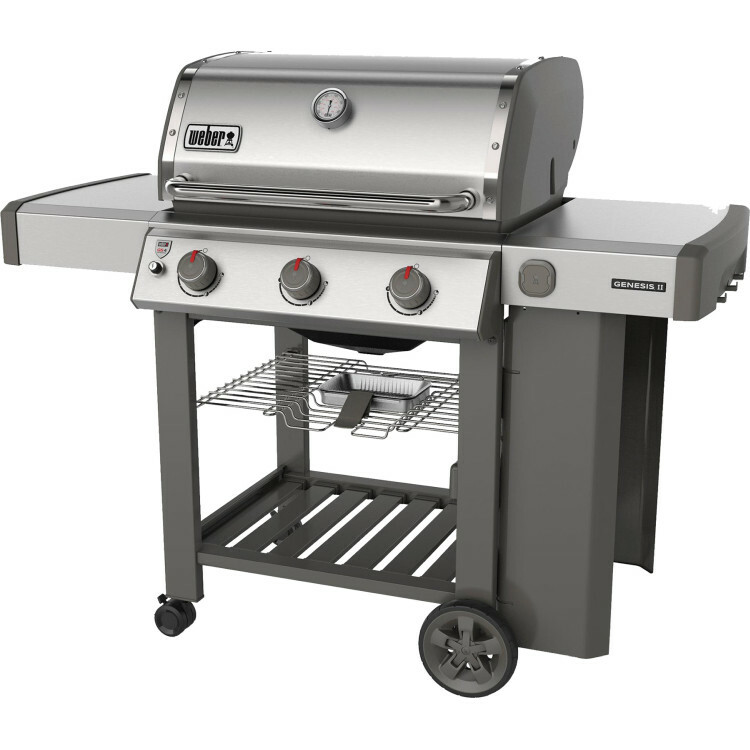 This grill also features a stainless steel work surface, storage for your tank and six tool hooks. Total cooking area measures 450 sq. inches. Welcome to the Weber family. They say breakfast is the most important meal of the day. Unfortunately, mornings are hectic for most people, especially families with children. So how do you cope with hunger pangs at breakfast time? 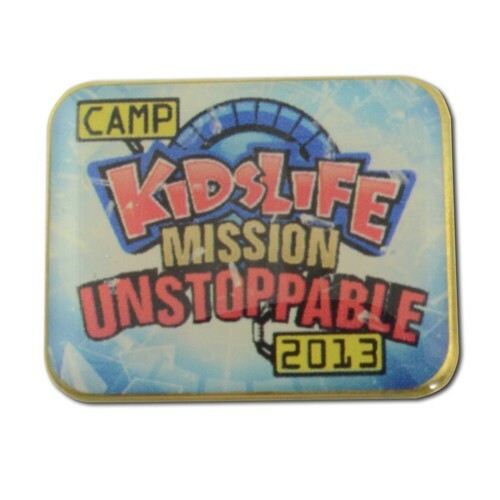 If you're like most people, you have to rush through the meal, gobble down whatever's handy in the kitchen, or grab a quick, on-the-go bite. That's where the Breakfast Sandwich Maker by Hamilton Beach comes to the rescue. It's all about making a fresh breakfast sandwich you can grab and go. Just choose your bread and layer on the fixings: egg, cheese, precooked meat, or the ingredients of your choice. In five minutes or less, your perfectly assembled breakfast sandwich is ready to eat. You can customize your breakfast sandwich with a practically endless variety of fresh ingredients. Now you know why everyone who loves breakfast sandwiches wants this product in their kitchen! 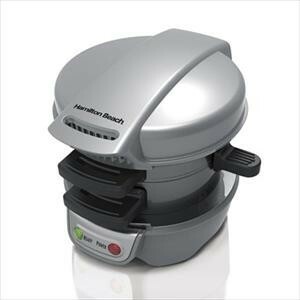 Don't let another morning go by without the Breakfast Sandwich Maker by Hamilton Beach. It lets you enjoy a homemade breakfast sandwich, made your way, in the comfort of your own kitchen. Cleanup is easy because all removable parts go in the dishwasher. 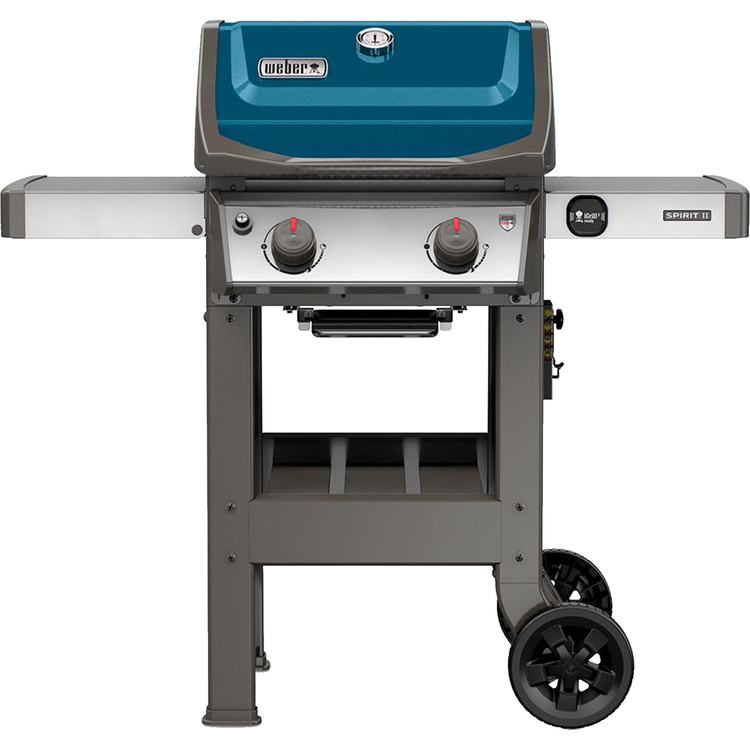 For Spirit/II 300 series grills. 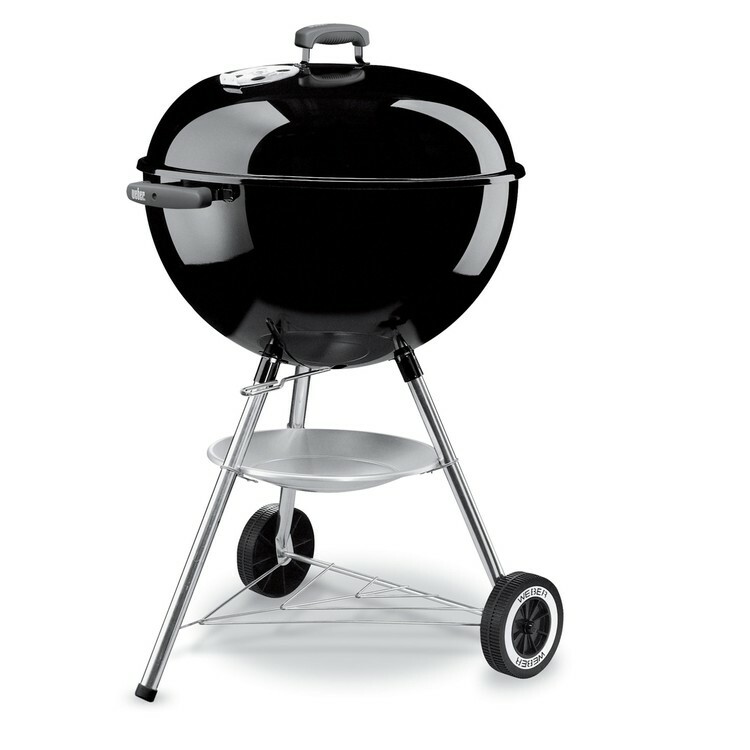 All-weather fabric is water resistant, UV resistant and breathable, protecting grills from the elements. Velcro straps added to secure to the grill which prevents the cover from blowing away. 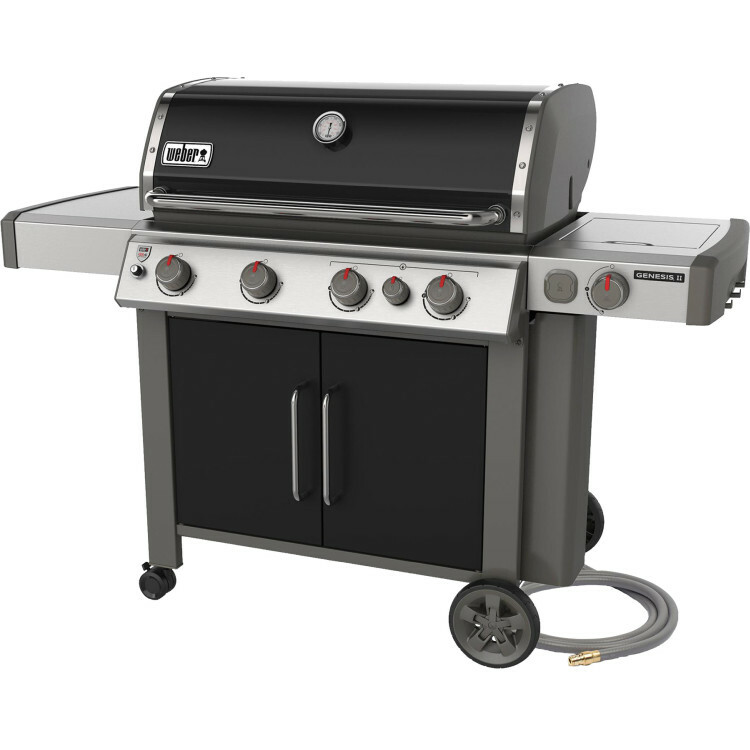 The Weber Q 3200 gas grill has two burners to form a high-performance gas grill. 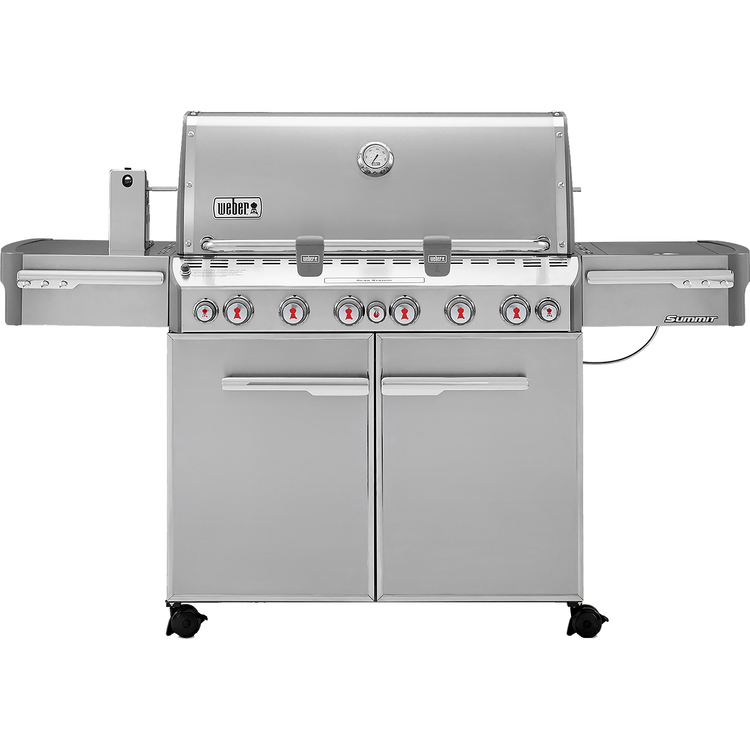 Turn off the inner burner for indirect cooking and additional grilling possibilities. 468 sq. in. total cooking area includes a 75 sq. in. warming rack. 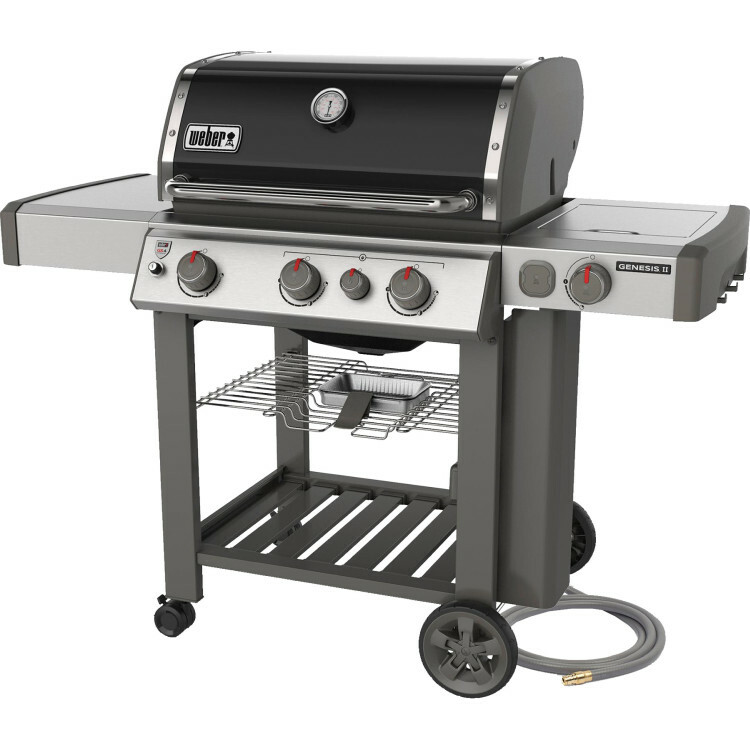 Features electronic ignition for reliable lighting, built-in thermometer, weather-resistant lid handle, 1 Grill Out handle light, cast-aluminum lid & body, porcelain-enameled cast-iron cooking grates, hose w/ regulator to connect it to a 20-lb LP tank (tank not included). Bolts onto the stationary cart (included). 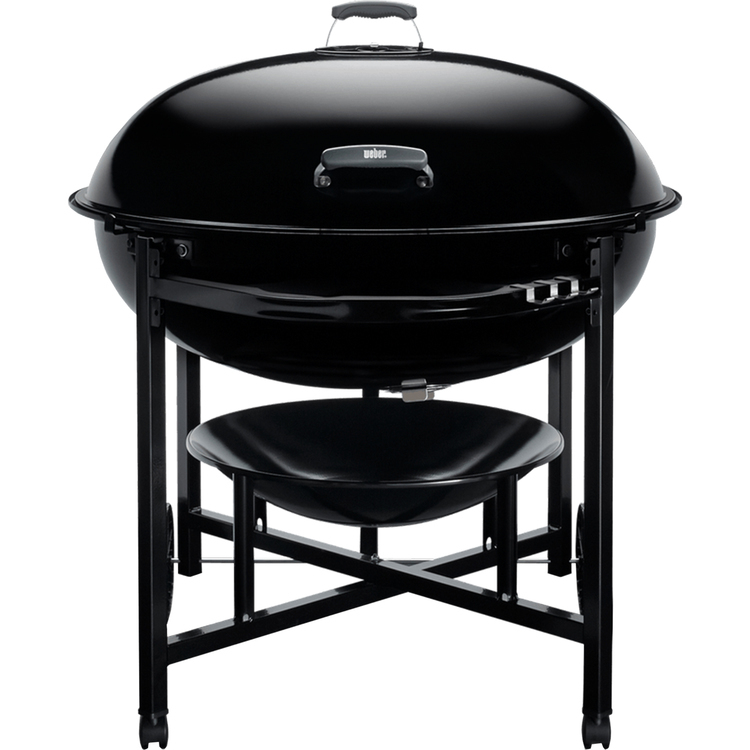 Constructed with a heavy-gauge porcelain-enameled lid and bowl, this charcoal kettle grill features a 22 .5 cooking area, aluminized steel One-Touch cleaning system, no-rust aluminum vent and ash catcher, triple nickel-plated cooking grate, 2 glass-reinforced nylon handles, and crack proof all-weather wheels. 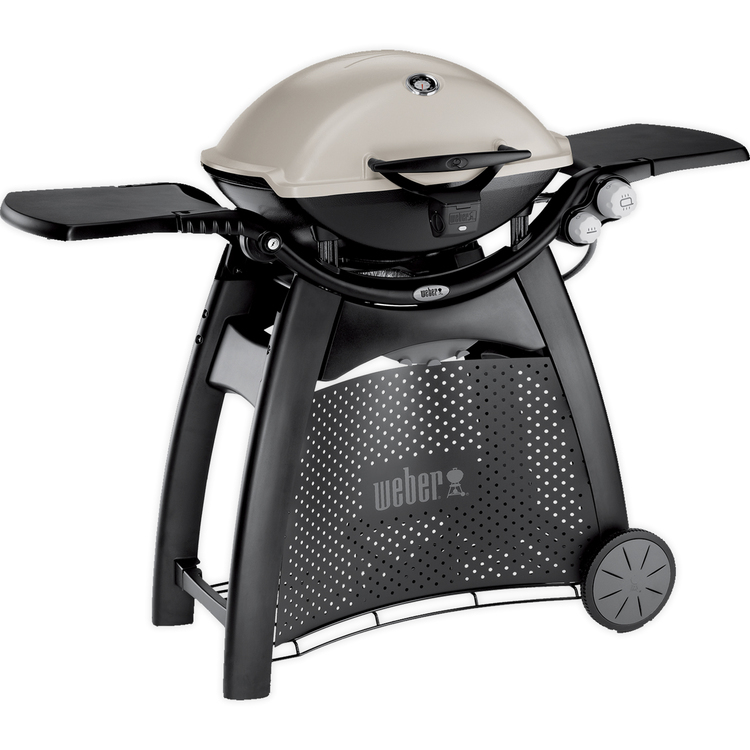 Weber Q 1000 is the perfect grill for camping and tailgating. It is small, lightweight (22 lbs) and packs plenty of power. The Weber Q1000 gas grill pairs a high-performance cooking system (8,500 BTU-per hour input) and easy-grip handles to form a powerful portable gas grill. This grill boasts 189 sq. inches total cooking area. It has push-button ignition for easy, reliable lighting and an infinitely adjustable burner valve with a high-quality regulator. 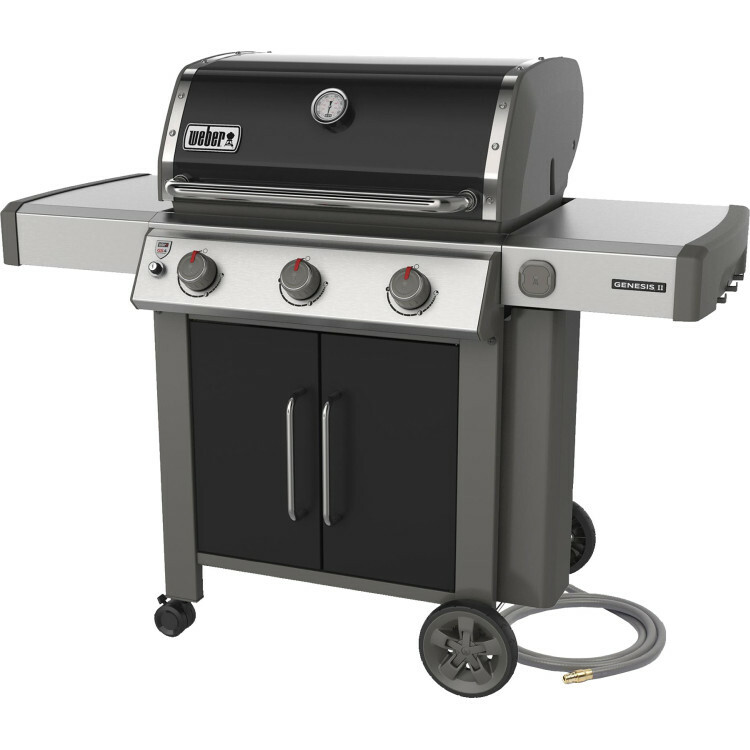 The Summit S-670 gas grill is Weber's top-of-the-line grilling masterpiece. 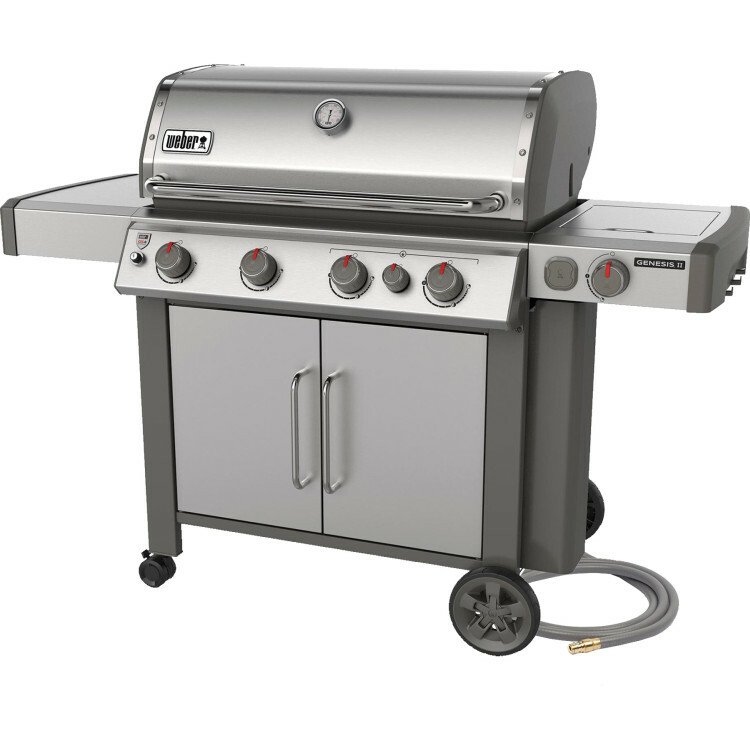 It boasts a high-performance sear station, exclusive lighted control knobs and a convenient Tuck-Away rotisserie system. So tell everyone you know luxury just in your backyard. The sound of crackling wood and the feeling of the heat spreading- Weber's Fireplace is the soul of true outdoor coziness. Greatexperiences arise around the fireplace; your friends and family willlove to gather 'round. Twistbread, marshmallows, and hot cocoa - thepossibilities are endless, and you just need to turn up the fun. 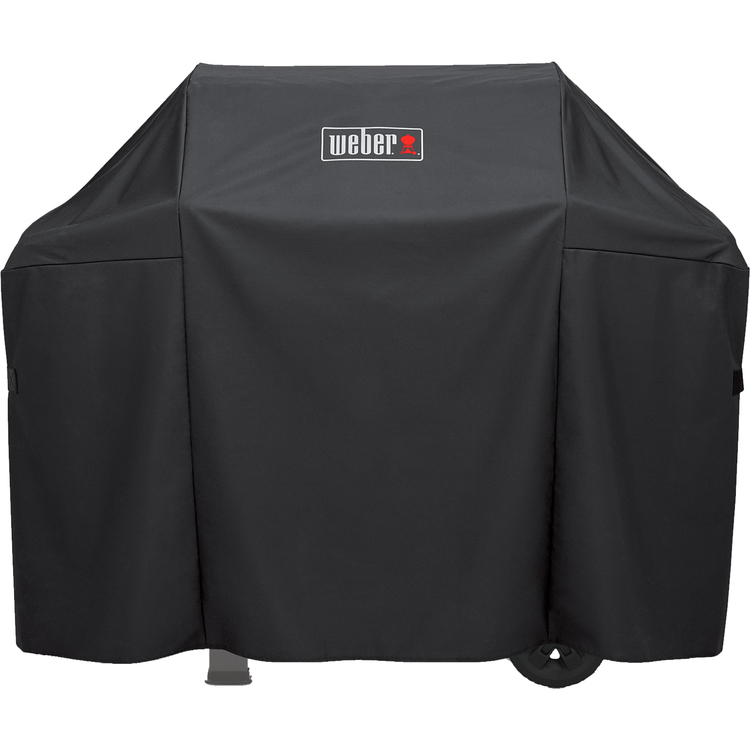 TheWeber Fireplace comes with a built-in lid holder to let you use the lidas a windshield. This will make lighting the fireplace easier and allowyou to direct the smoke away from you. Polishing gives the raised surfaces of your pin a mirror finish while sandblasting in the recessed areas creates a matte look. This high-perceived value look is popular for award pins or any time you're after a high-class look. Iron material is used to keep raw material costs lower but the look is identical to brass material. Includes no-turn nail, military clutch back, individually polybagged. No Die charge or setup on orders of 300pcs and up. Polishing gives the raised surfaces of your pin a mirror finish while sandblasting in the recessed areas creates a matte look. 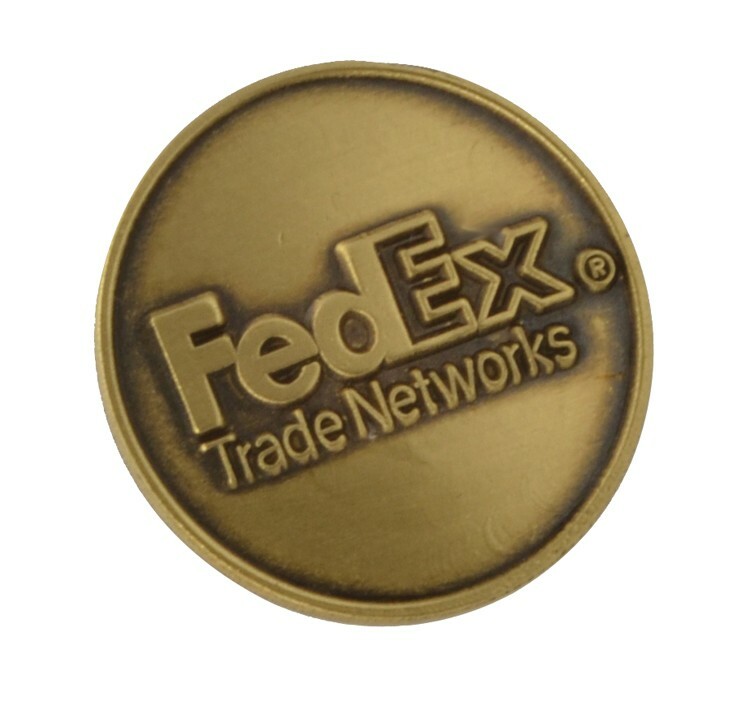 This high-perceived value look is popular for award pins or any time you're after a high-class look. Includes no-turn nail, military clutch back, individually polybagged. No Die charge or setup on orders of 300pcs and up.